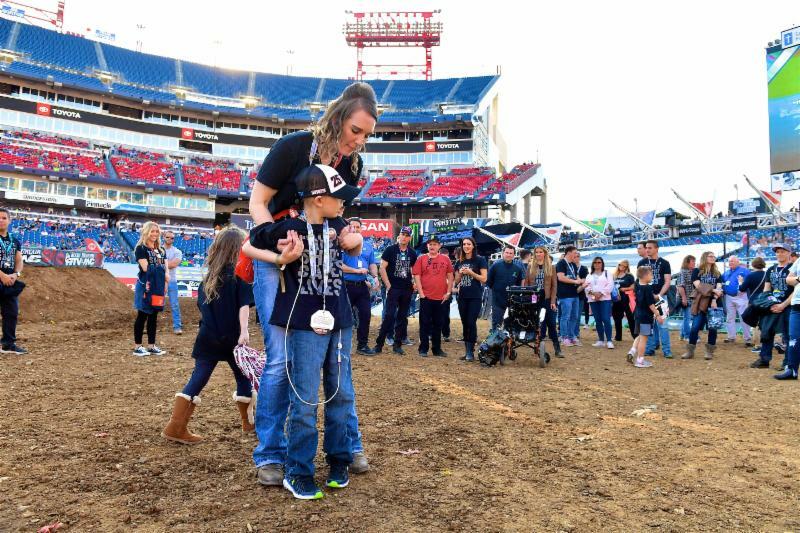 St. Jude patient and Ryan Dungey Superfan Gabe walking on the Supercross track at Nissan Stadium in Nashville while Ryan Dungey, Ricky Carmichael and others watch in the background. Photo Credit: Feld Entertainment, Inc.
Much of this gear, along with autographed items donated by the athletes, will now be auctioned off, with all proceeds going to ensure that families never receive a bill from St. Jude for treatment, travel, housing or food-because all a family should worry about is helping their child live. The auction is highlighted by big-ticket items from Supercross Champion and St. Jude Partner in Hope Ryan Dungey. Prizes from the Supercross legend include a 2017 Monster Energy Supercross Championship replica ring and autographed FOX boots and FOX racing gear. 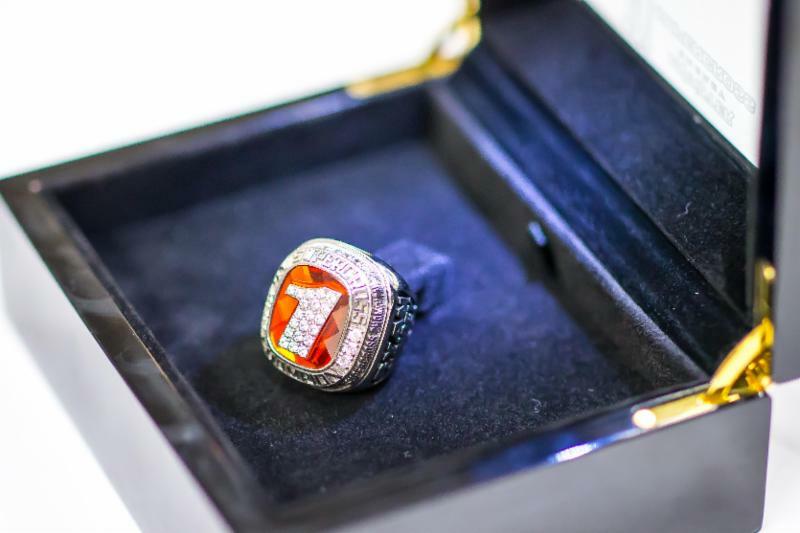 2017 Monster Energy Supercross Championship replica ring will become part of the online auction set to open on Wednesday. Photo Credit: Feld Entertainment, Inc.